This is another one of the reviews I posted in Lit World Interviews that I never shared here. This book has become pretty well-known but I thought it deserved to feature here in case you hadn’t heard of it. Body of review: As this is a non-fiction book the usual format does not work well but I thought it was well-worth sharing. Thanks to Net Galley and to Vintage Digital for providing me a copy of this book in exchange for an unbiased review. I read this book with conflicting emotions. When it came to my attention and saw some of the comments I wondered if I was ready to read it. (My father died 14 months ago of cancer, in his case prostate, with bone metastases, stage IV at the time of diagnosis, after a year of fighting the illness.) In some ways I guess I was challenging myself to see if I’d manage and perhaps hoping that it would give me some answers, although I’m not sure what to. I will try to make this review as objective as possible, but by the nature of the book and its subject this is more difficult than usual (no two people read the same book and that’s the beauty of it, of course). In my effort to try and make my mind up as to what to say I’ve read a few of the reviews. Some of the negative ones state that the book is little more than a couple of essays, a foreword and an epilogue. That’s a fair comment. 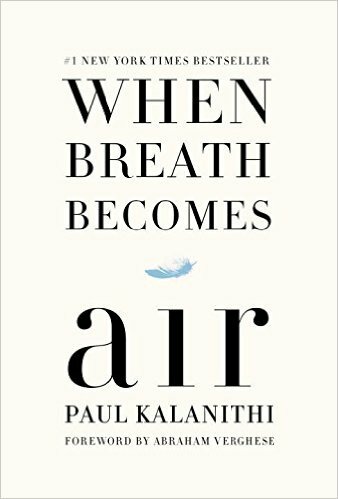 We know that Paul Kalanithi died before he finished the book, and we don’t know how much editing went into it, or what else he might have written if his life hadn’t been cut short. The foreword works as an introduction of the book and a sum up of the author’s career and perhaps helps tie up the unfinished nature of it. It is nicely written, although the fact that Abraham Verghese had only met the writer once hints at how professionally packaged the book is. Yes, this is not just another account by a totally anonymous individual fighting cancer. 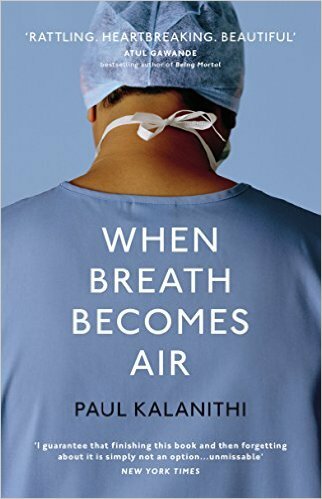 Other reviewers note that Kalanithi’s circumstances are so unique (well-educated, professional family, bright and driven, studying at the best universities, training in neurosurgery at one of the best hospitals, and also treated in one of the best units with access to all the treatments, surrounded and supported by his family) that perhaps his reflections and his experiences are not applicable to most of the population. I can’t argue with that. I’m not sure we can claim to a universality of experience and say that death or impending death affects everybody the same. There’s no doubt that the end result is the same but the process and the way it is felt is quite different. All lives start and end the same but that does not mean they are the same. Some reviewers take issue with the decisions the author and his family made, for instance his insistence on going back to work as a neurosurgeon after the diagnosis and whilst he was being treated, wondering how safe that was, and accusing him of selfishness. Sometimes in harrowing circumstances we do what we have to do to keep going and to see another day, although that is no justification to put others at risk. In his case it is clear from the write up that there was a strong plan in place to ensure safety and that he was no operating by himself (we’re talking about neurosurgery, a highly complex field and a team endeavour). Perhaps the way the author focuses on his own efforts and how he managed to overcome the symptoms of the illness to keep working leaves too much of what was going on around him in the shadows, but then, he was writing about his experience and how he saw it at the time. Other readers appear upset at the family’s decision to have a child knowing he wouldn’t be alive to see her grow. That’s a matter of personal opinion and I can’t see how that has any bearing on our thoughts about the quality of the book. After this long preamble (my review is becoming an essay in its own right), what did I think? I am a doctor (a psychiatrist, and although I remember with fondness my placement in general surgery and I attended in some operations for other specialties, like paediatrics, breast or chest, I can’t claim to any hands-on experience in neuro-surgery) and I identified with early parts of the book when Kalanithi describes medical school, and also his love of literature. I haven’t worked in the US although I’ve read (and we’ve all watched movies and TV series) about the gruelling schedules and training process medical students and trainees face there. There is a great deal of emphasis on his career and not much on his other experiences. Although there are more details about his relationship with his wife later on, we don’t know much about how they met or what they shared, other than their interest in Medicine and plans for their professional future. Some reviewers noted that we don’t get to know the man. I can imagine that to get to the professional peak he had achieved one needs to be focused on one’s career to the detriment of other things, and there are some reflections about that in the book: about delayed gratification, about working hard and putting other parts of our life on hold, for whenever we’ve reached that next goal, that next step. Often that moment never arrives, because we find other goals or other objectives. Living the now and for it is a lesson that not many people learn. I also felt I did not get to know Kalanithi well. He writes compellingly about his work, his efforts to find meaning and to offer meaning to others through his vocation, he mentions religion and how he turned to literature too to try and understand death. There are glimpses of him, mostly towards the end of the book, and truly heart-wrenching moments, like the birth of his daughter. 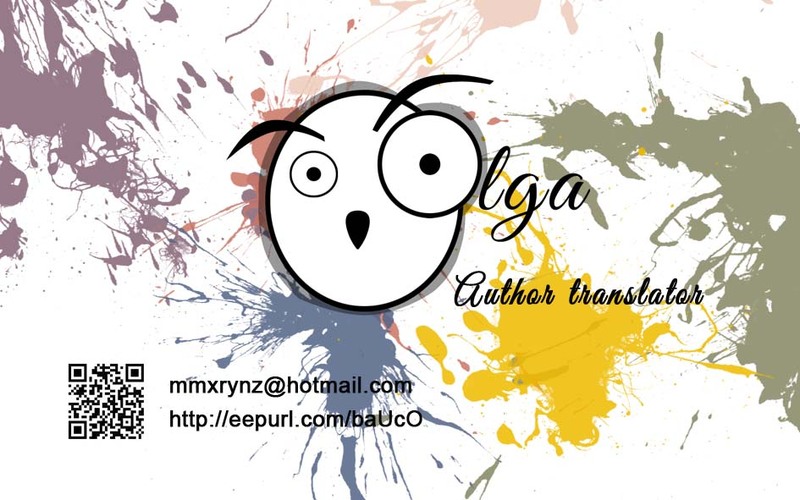 I agree with everybody that his wife’s epilogue is more touching and heart-felt, less analytical and rationalised than the parts he wrote and I felt more connection to her than to her husband. I wish her and her daughter well and I have the feeling she is more than equal to the task of bringing up her girl and carrying on with her career. This is an interesting book, a book that will make the reader think about his or her own mortality, and it will touch many. It does have a fair amount of medical terminology (I’m a doctor so it’s not easy for me to judge how complex it might be for somebody with no medical knowledge, although I saw some comments about it) and it’s not a touchy-feely open-my-heart type of confession about the final days of somebody. It’s a fairly intellectualised look at matters of life and death, but it ultimately provides no answers. Why that should be a surprise to anybody, I’m not sure. It is not a book on spirituality (although there are some reflections about it) or a moral guide to live your death. If bearing all that in mind you’re still interested, I found it well-worth a read. #GIVEAWAY THE BEAUTY OF THE FALL by Rich Marcello (@marcellor). A beautifully written novel about loss, meaning and relationships, with its heart in the right place. I tend to avoid real-life books on medical issues and terminal illness. After working so long as an EMT, I find it a lot like going back to work. Losing two friends to cancer in the last six months, I have also had enough recent hands-on experience of visiting hospices, and watching loved ones die. This might be a book for those facing a similar bleak outcome. They may be encouraged by it, or supported by it, and it will surely be a legacy for the author’s family too. But such subjects are not for me. I totally understand, Pete. After my father died I also avoided the subject. This was the first book about it I read afterwards. The book has done very well and I hope that is some sort of consolation to his wife and child. They are not for everyone. Tomorrow, the giveaway. Oddly, this was the first book about death I read after my own father’s death. Was I looking for answers? I don’t know if I was. I agree with what I think is a very fair review of it. Thanks, Mary. In my case, I wanted to see if I could read something about the subject and wondered how a professional would write about it. Take care. I did hesitate for a long while. Particularly his wife’s contribution is very moving. Not an easy read, though, especially depending on one’s personal circumstances. I don’t think I could read this book. My Mom had breast cancer and received the all clear two years ago. Recently my husband had a stage 1 melanoma removed. I think it would be to traumatic. I think you review debates the style of writing, purpose and your own feelings about it extremely well. Thanks, Robbie. I didn’t read anything on the topic for a long while after my father died but this was the first book that made me reconsider it. I understand perfectly well that it is too personal a subject. I hope you Mom nad your husband are both well. Take lots of care and all the best.